Welcome to Hextable Primary School and thank you for visiting our website. Whether you are visiting as a prospective pupil, parent, teacher or volunteer we hope that it gives you an insight into our school. We are a three form entry primary school, housed in two separate buildings on one site, with an adjoining playing field. Our dedicated and enthusiastic team of staff are committed to encouraging all our pupils to achieve to the best of their ability within a safe, secure and creative environment. We maintain high expectations and our vision and values underpin everything we do. We work hard to create an engaging curriculum which recognises that some children learn better outside of the classroom. 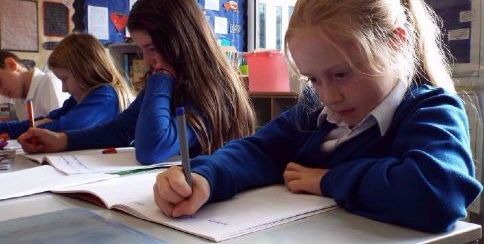 We encourage children to be independent and inquisitive learners, facing new and exciting challenges. We offer extensive extra-curricular activities in music, arts and sport, providing opportunities for children to compete and perform in local and County tournaments. We also have strong links with our local community. We hope that you find all the information that you need on our website, however, if you cannot locate a specific piece of information, please telephone the school office and we will be happy to help you.